Enjoy shopping for art and antiques? Fancy a browse for a bargain? 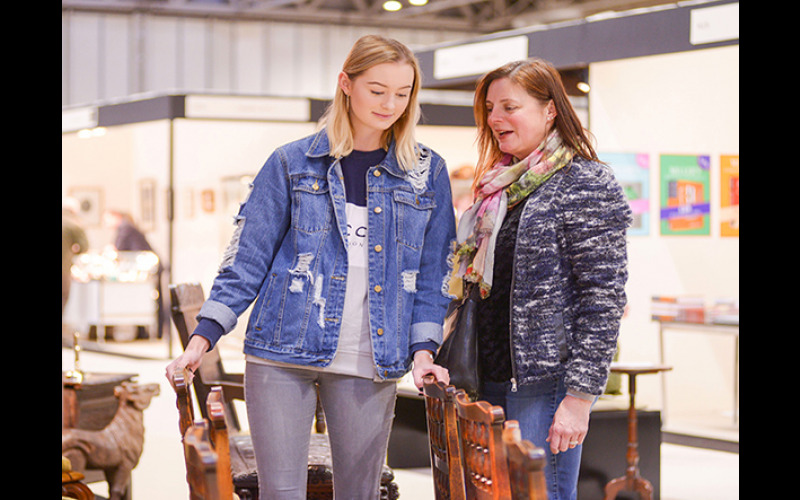 Antiques for Everyone at the NEC from 5-8 April 2018 has it all, from Victorian collectors pieces from less than £10 to the finest works of art, sculpture and furniture for more than £10,000. 8,000 collectors from around the world fill the fair in search of superb pieces assembled by 200 specialist dealers. There's jewellery, silver, ceramics and glass, too, plus Scandi design, Mid-Century Modern, vintage fashion and all kinds of unusual and desirable collector's items. MEET THE EXPERTS Antiques Roadshow personalities, Judith Miller and Will Farmer will be on hand to provide top tips you might need and insider advice from the world of antiques. Free seminars run throughout the day. In addition, the fair welcomes very special attraction: 'A Spoonful of Arts & Crafts' presented by cutlery historian and expert Simon Moore. This unique exhibition will feature a fabulous collection of silver spoons from the Arts & Crafts period, all with fascinating and beautiful designs capturing the best of British silver-making in the early 20th century. All items for sale are vetted by experts for quality, date and condition.